Tulsi: Holy basil, or as we know as tulsi, is known for its diverse health benefits and has been used in Ayurvedic medicines for centuries. Tulsi contains hypoglycaemic properties which helps lower blood sugar levels. It helps prevent fluctuations in blood sugar levels. One can orally take tulsi leaves or boil some leaves and drink the water. Soaking tulsi leaves overnight and drinking that water in the morning is also beneficial. Cinnamon: Used in several cuisines for its sweet, spicy, and woody aroma, cinnamon is one of the most ubiquitous spices in the Indian kitchen. For thousands of years, cinnamon is also used in traditional medicines as it’s packed with antioxidants which have several health benefits. Cinnamon may help lower blood sugar levels and manage diabetes. Cloves: Known for their strong taste and smell, cloves are one of the most common spices in the kitchen. For centuries cloves have been used in several traditional medicines. A study in mice found that clove extract and nigericin, a component of clove extract, can lower insulin resistance. Turmeric: There are hardly any Indian delicacies that can be prepared without a pinch of turmeric. It lends the food a golden colour, an intense flavour, and a very subtle aroma. For centuries Ayurvedic experts have been using turmeric in traditional medicines because of its antioxidant and anti-inflammatory properties. Curcumin, turmeric’s active compound, can decrease the level of glucose in the blood. Ginger: Besides soothing an upset stomach and sore throat, ginger has shown to have been effective when it comes to managing the symptoms of diabetes. A natural antioxidant and anti-inflammatory spice, ginger can help lower blood glucose. Fenugreek seeds: Fenugreek seeds may help manage the symptoms of diabetes by lowering blood glucose levels and improving glucose tolerance. As fenugreek seeds are high in soluble fibre, they help slow down digestion and absorption of carbohydrates. This may help reduce fasting blood glucose levels, improve glucose tolerance, and lower bad cholesterol. Cumin: There’s almost no Indian dish that doesn’t contain cumin. Traditionally, known for boosting digestion, cumin helps fight the advanced glycation end products (AGEs) that are responsible for damaging eyes, kidneys, nerves and small blood vessels due to diabetes-related complications. 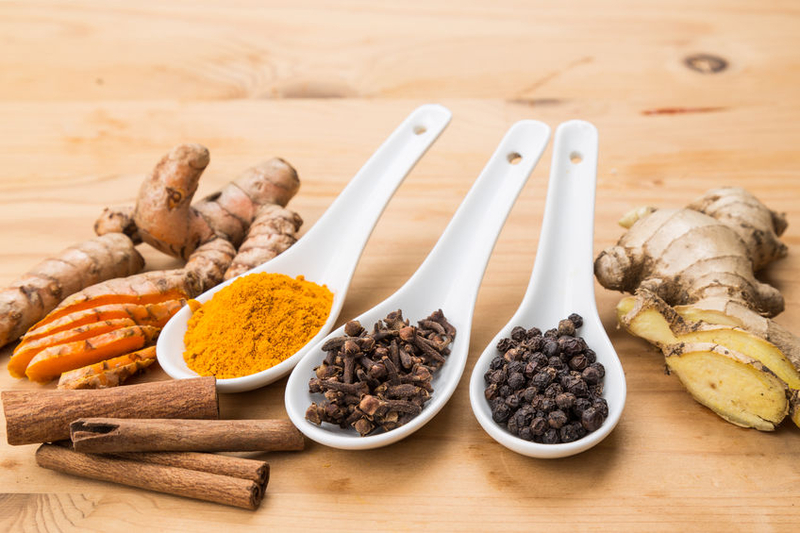 Important note: You should consult a doctor before incorporating these herbs and spices into your diet, especially if you are pregnant or you are taking blood pressure medications.